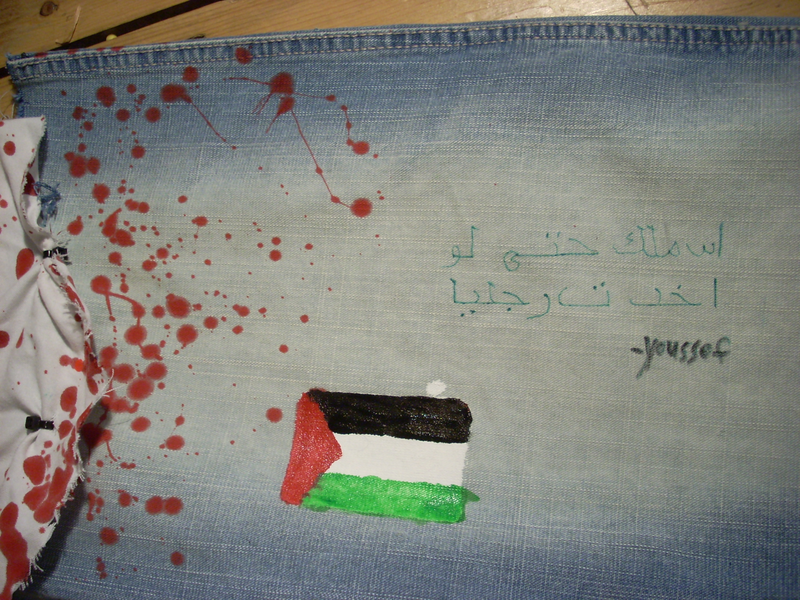 Piecejeans is a new NGO that is dedicated to bringing "Peace to the Middle East." Each pair of Piecejeans undergoes a rigorous process of separation and reunification. 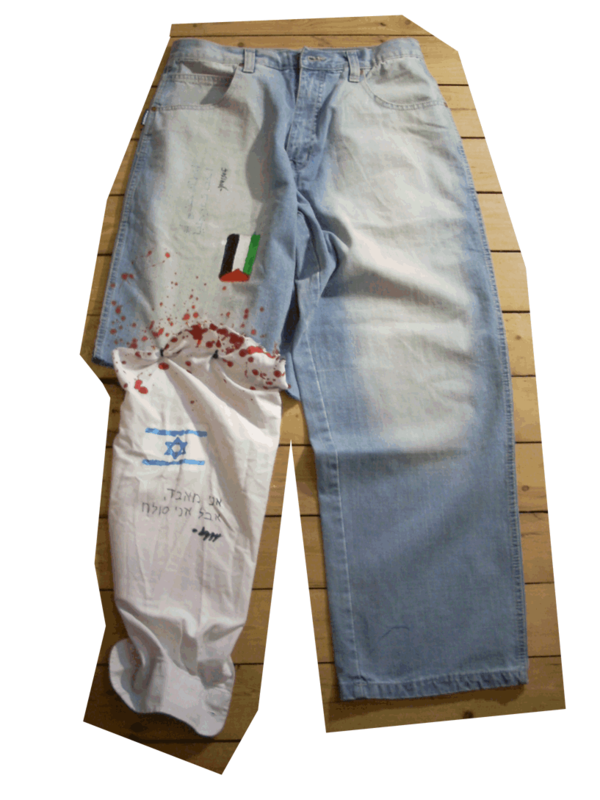 The jeans section is taken off of a person injured in a conflict, in this case a Palestinian man named Youssef who lost a leg. 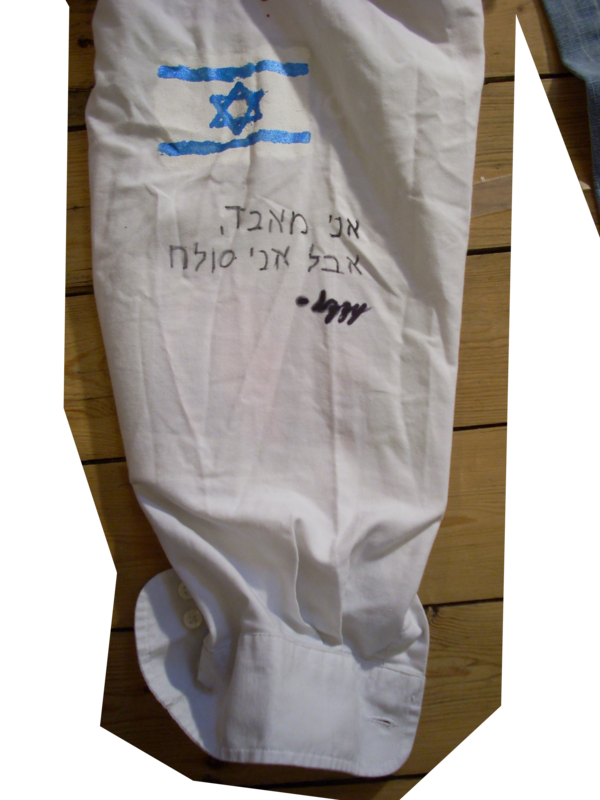 Then the Jeans are sent to another person who was injured in the same conflict but was on the opposite side, in this case Izzy from Israel who lost an arm. Their remaining clothing is stitched together (along with their mutual forgiveness) to form a pair of PieceJeans that you can wear to show your support for PEACE!